In the state of California in 2016 alone, 4,808 wildfires were caused by humans leading to 282,482 acres burned. 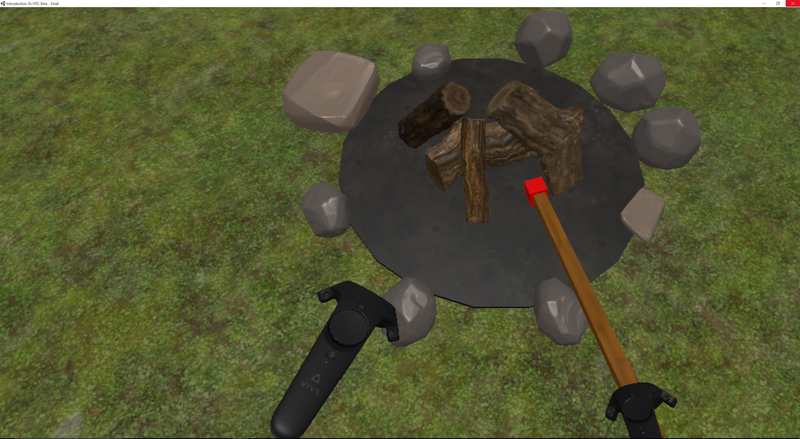 Wildfire Prevention VR is a virtual reality simulation of preventing campfires from turning into wildfires and is meant to be played on the HTC Vive. 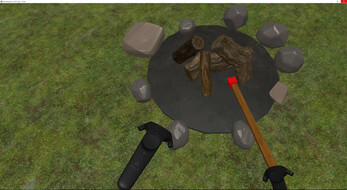 There are 4 stages in the game including picking the campfire spot, preparing the campfire pit, building the campfire, and maintaining and extinguishing the campfire. The stages are inspired by these guides from Smokey the Bear. 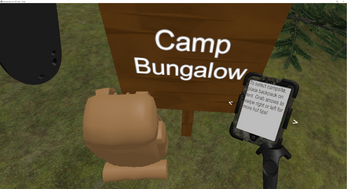 The objective of the game is to finish the camping trip without starting a wildfire by learning about fire safety tips along the way. To begin the game from the menu scene, reach into the van and press the trigger button on the backside of the HTC Vive controller. 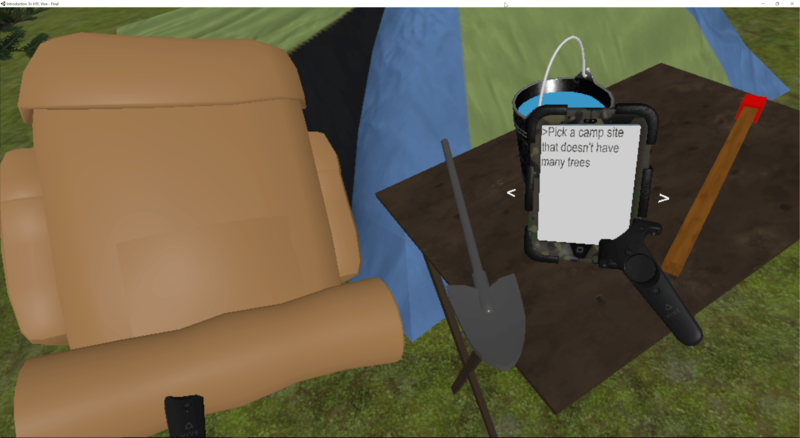 To claim one of the three sites and officially begin the game, you must touch the backpack to the tent in the desired campsite. 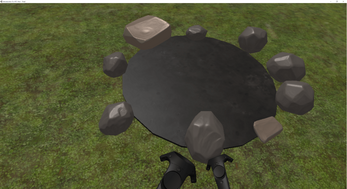 Once that task is complete, all necessary game objects will spawn and you will be able to continue with your fire building practice. Listen to the audio cues as they will prompt you on the next steps to take. In order to play Wildfire Prevention VR, you must have the HTC Vive system. 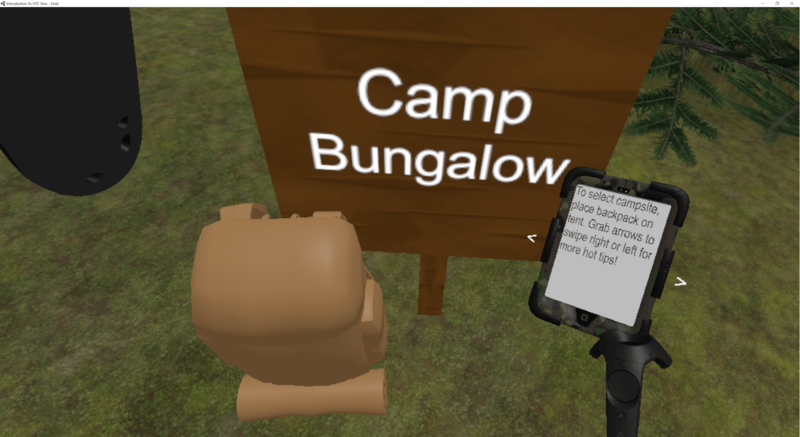 This game was built specifically for the Vive and has not been tested with any other VR devices. 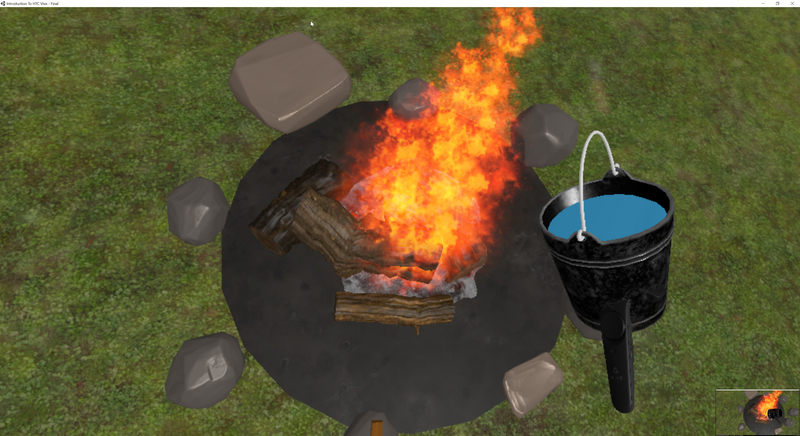 Wildfire Prevention VR was designed by Jessica Vega, a senior at CSU Monterey Bay. She is graduating in May 2017 with a B.S. in Computer Science. 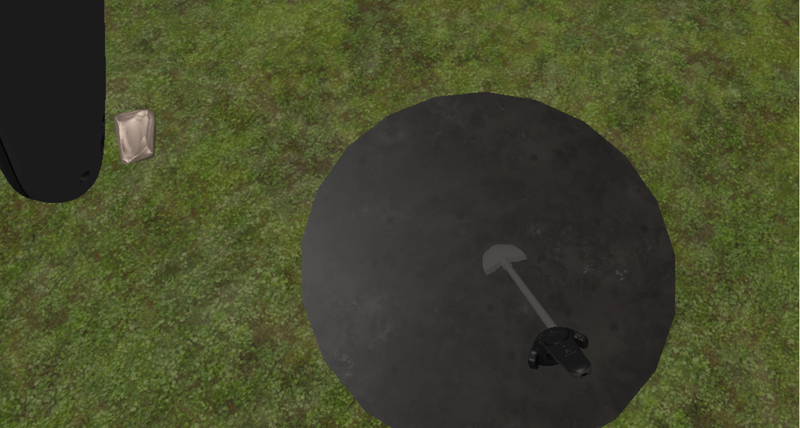 This game was created as part of the CST 421: Game Design II course. The programming team consisted of Alex Ruvalcaba, Adrian Martinez, Josh Patrick, and Brieg Oudeacoumar. They are also students at CSU Monterey Bay and members of the CST 306: Game Engine Programming course. Some 3D art assets were provided by Adrian Kus, a student at the University of Silesia in Poland. Music and sound assets were provided by Taylor Romo. The poster was designed by Victor Santander. Both are students at CSU Monterey Bay. Download the zip folder & unzip it. Ensure that the .exe is next to the data folder.